I am still waiting for the jury to come back in the second phase of our trial. Once they are back, this six-week trial that has consumed the last four months of my life will be over. Whew! While I wait, I've been hopping around, visiting blogs. Is this a trial where the longer the jury is out, the better for your client? Or the worse? I am familiar with the "Who knows what they are thinking?" phase . . . 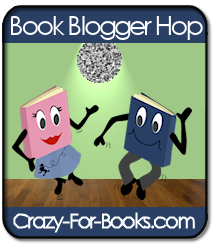 I just stopped by your blog on the Book Blogger Hop; I like your blog and your lists. I know how you feel Gilion, especially that feeling when you get the phone call saying that there is a verdict. Try not to worry about it too much. You'll have another big one come along soon. Hope you had fun hopping. J.G. -- It seems that the jury was out for exactly the right time! Thanks for your good thoughts -- they worked. Bibliophiliac -- Thanks for visiting! I'll do the same. Kelly -- Thanks! I like yours too. It is one I visited yesterday. I'll come back again. Becky -- I have never been so nervous as when that call came in yesterday. I felt sick.